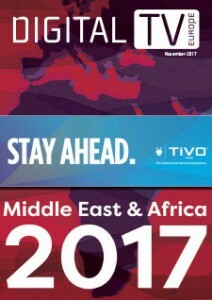 The Middle East and Africa are seen as emerging markets for pay TV. Video consumption across both regions remains largely dominated by free TV and there is plenty of room for growth. However, new OTT TV services are beginning to make an impact, and the way pay TV operators are marketing their services is changing in response. In Africa, multiple entrants offering lower-cost options have challenged MultiChoice’s dominance of pay TV. These include recent entrant Kwesé TV from Econet Media. In this issue of Digital TV Europe’s Middle East & Africa, we interview Econet Media CEO Joseph Hundal about the company’s plans. Africa has also seen the launch of multiple streaming services, the latest of which is Trace Play. We interview Trace co-founder and CEO Olivier Laouchez about this and his plans for the launch of further channels, including a dedicated service for the Democratic Republic of Congo. The Middle East has seen multiple SVOD players pitch their offerings to a young and increasingly tech-savvy audience. We assess the strategies of Starz Play, Iflix, Netflix, Icflix and others and look at the ways in which pay TV operators OSN and beIN Media – itself further challenged by the regional boycott of Qatar – are responding. Finally, original content is increasingly seen as a differentiator in the Middle East. We report on how the region’s content creators are now looking to a wider international market.